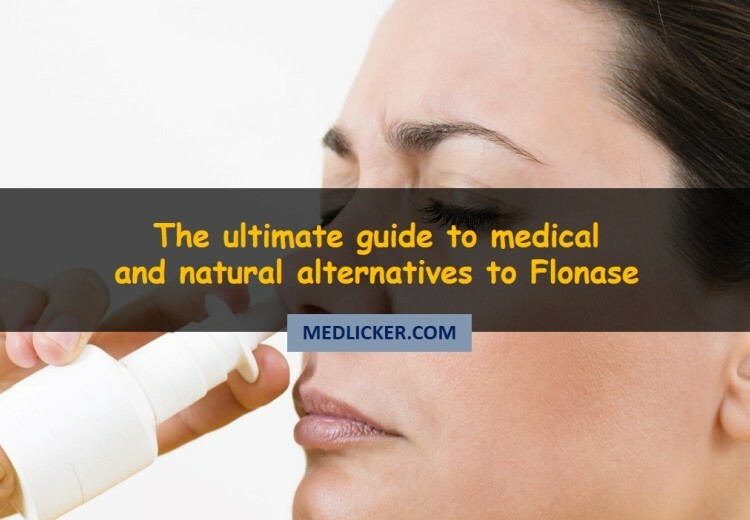 Flonase is a nasal spray that contains fluticasone (1). Nasal spray is a topical application that affects the nasal mucosa (lining of the nose) and the nasal passage. Fluticasone belongs to a class of drugs called corticosteroids. Fluticasone helps prevent the release of substance in the body that causes inflammation. It can be used for allergic and non-allergic sinus symptoms. Flonase is an over-the-counter drug so you don’t need a prescription. But if you have any systemic diseases or are on any other drug than consult your doctor before taking flonase. Flonase belongs to the corticosteroid group of drugs and like any other drug available on the market, it also has some side effects (4). Allergic reactions to flonase are a reported fact - irony of being allergic to medication that is used to treat allergies. If you experience any symptoms of allergic reaction contact your doctor at once. Flonase side effects range from mild to moderate. There are many side effects to flonase but most of them are rare. “It’s better be safe than sorry”. We have all heard this saying so let’s implement it in our lives specially when using drugs. Every drug has some limitations and precautions that you should abide by. Flonase is contraindicated in younger children under 4. Fluticasone present in Flonase can weaken the immune system (5). Thus making is easier for infections to attack your body. So make sure to consult your doctor if you have any infection and had in the last few weeks. Diabetic patients should also use flonase with caution because flonase can increase blood sugar level. So there might be a need to adjust dietand anti-diabetic medications. Flonase is an excellent nasal spray for treatment of nasal and sinus congestion. But it does not suit everyone and some people might be allergic to it. There are many pharmaceutical and natural alternatives to flonase available on the market. In this section we are going to discuss some of the pharmaceutical alternatives to flonase. The information provided here is just for educational purposes and you must make sure to consult your physician before taking any drug or switching to another one. Nasonex (mometasone) is a steroidal nasal spray that is used to treat allergies and nasal congestion. The steroid present in nasonex is mometasone. This prevents the release of inflammatory elements within the body. This drug should be used with caution in children and pregnant females. Flonase and Nasonex belong to the same class of drugs as other corticosteroids. Flonase is an over the counter drug, while Nasonex is a prescription only drug. Both are used for the treatment of seasonal allergies and nasal congestion (6). But Nasonex can also be used for the management of nasal polyps (7). The main side effects of Flonase are nausea and asthma like symptoms. While the main side effects of Nasonex include nosebleed and headache. Keep your head upright and insert the tip of bottle inside your nostril. Close the other nostril with your finger. Now breathe quickly and gently spray the medicine. Now repeat this with the other nostril. Do not blow or cleanse your nose for a few minutes after applying the medicine. If spray gets in your mouth or eyes rinse thoroughly. Always use this medicine as instructed by the doctor. Below are just some general instructions on the common dosage of Nasonex (10). For allergic rhinitis use 2 sprays in each nostril twice a day. Start this treatment two to four weeks before pollen season. For nasal polyp use 2 sprays in each nostril twice daily. Omnaris (ciclesonide) is a nasal spray that belongs to the glucocorticoid class of drugs (11). Omnaris prevents the release of inflammation causing substance in the body. It is suitable for kids over 6. It is effective in cases of seasonal allergies (12). But for year around allergies it should not be given to a child younger than 12 years. Omnaris is a steroid so you should not stop taking it suddenly because that can cause side effects. Flonase belongs to class of drugs called corticosteroid, while omnaris belongs to the glucocorticoid class of drugs. Omnaris is a relatively new drug. Both of these drugs are used to treat seasonal allergies. Flonase may be used in kids older than 4 while Omnaris may not be used in kids younger than 6. The main adverse effects of Flonase are nausea and asthma like symptoms while the main adverse effects of Omnaris are migraines and sneezing. Keep your head upright and insert the tip of nasal spray bottle into one nostril. Close your other nostril with your finger or your thumb. Inhale quickly and gently press the bottle so the medicine comes out. Now repeat with the other nostril. Do not blow your nose for a few minutes after applying the medicine. Use spray only once in 24 hours. Rinse immediately if the spray comes in contact with eyes or mouth. Like every drug on the market Omnaris also has some side effects (13). Allergic reaction to omnaris can occur in some individuals. If you notice any symptoms of allergic reaction contact your doctor. These are some general dosage information concerning Omnaris. Always use the medicine as instructed by your physician (15). For seasonal allergies and rhinitis the suitable dose is 2 sprays in each nostril once daily. For perennial allergic rhinitis 2 sprays (200 mcg) each nostril once daily is the recommended dose. The perennial use is only suitable for children older than 12 years. If you miss a dose of Omnaris DO NOT take double dose because that can be harmful to the body. Veramyst (fluticasone furoate) is a nasal spray that contains fluticasone (16). It is a steroidal spray so it should be used with caution in children and pregnant and breastfeeding females. Do not take a double dose of Veramyst if you miss a does because a double dose can be harmful for you. Both these drugs belong to the same group of drugs – corticosteroids. Flonase is not suitable for children under 4 years, while Veramyst can be given to children as young as 2 years old. Both of these are over-the-counter drugs. The main concerns of Flonase use are nausea and asthma like symptoms, while migraines and sneezing are the main concerns of Veramyst use. Shake the bottle of the medicine well before use. Blow your nose before using Veramyst. Now keep your head upright, and close one nostril with the help of your finger or your thumb. Inhale the drug with the other open nostril. Gently spray the medication into your nostril while inhaling. Do not blow your nose for a few minutes after the medication application. Like every drug Veramyst also has some side effects. Veramyst can also cause allergic reaction in certain people. This is the general dosage information concerning Veramyst (19). Dose for children between 2 and 12 years old: The starting dose for children is 55 mcg. This is given once daily in form of nasal spray in each nostril. Dose for adults and adolescents: The recommended dose of veramyst in adults is 110 mcg. This is administrated as two sprays in each nostril once daily. Rhinocort (budesonide) is a nasal spray that contains budesonide and belongs to the glucocorticoid group of drugs (20, 21). Rhinocort helps reduce inflammation in the nose and sinuses as well as symptoms of allergies by preventing the release of inflammatory agents in the body. Flonase belongs to the corticosteroid class of drug, while Rhinocort belongs to glucocorticoid group of drugs. Both drugs are used for the treatment of seasonal and year round allergies. The main side effects of Flonase are nausea and sore throat while the main side effect of Rhinocort are sneezing and drowsiness. Prevents recurrence of nasal polyps. Start by shaking the bottle of the spray. Spray 4-8 test sprays in the air away from face. Do this until mist appears when you spray. Blow you nose before using Rhinocort. Insert the tip of bottle in your nostril and close the other with your finger. Do not blow your nose for a few minutes after applying the nasal spray. Rhinocort is not suitable for children under 6 years of age. The recommended dose of Rhinocort is 32 mcg per day in each nostril once daily, e.g. 64 mcg a day (24). Beconase (beclomethasone) is a corticosteroid nasal spray (25). It helps treat symptoms of allergy. Beconase contains beclomethasone. Beclomethasone helps reduce nasal inflammation by preventing the release of inflammatory elements within the body. Both drugs belong to the same group of drugs called corticosteroids. Studies have shown that Flonase is more effective in alleviating symptoms of allergy than Beconase. The main side effects of Flonase are nausea and sore throat while the main side effects of Beconase are dizziness and sneezing. Start off by shaking the bottle of the medicine. Spray the medicine a couple of times in the air till mist forms. Make sure your nose in clean before you use this medicine. Now close one nostril with the help of your thumb or finger. Spray the drug in the open nostril and inhale gently. Do the same for the other nostril as well. Do not blow or rinse your nostril for at least a couple of minutes after the use of this drug. For children between 6 to 12 years: one spray in each nostril twice daily is recommended. For adolescents and adults: 2 sprays in each nostril twice daily. When you’re suffering from a stuffy nose a day feels like a year. A congested nasal passage can be a great annoyance and it can make you irritated. A lot of people are hesitant in using medical drugs (e.g. nasal decongestants). So they suffer from nasal congestion till it clears up on its own in a few days. This section can be especially helpful for these people. We are going to talk about some of the all-natural ways to relive nasal congestion. The best thing about natural remedies is that they have none to a few side effects. Most of these alternatives are simple and as effective as drugs. Before we start here is an important note: Never attempt to self treat and always ask your physician for advice before taking and medicine (pharmaceuticals or home remedies) for nasal congestion. Stuffy nose and congested sinuses are irritating to deal with. People with chronic sinus infections or allergies feel like their nose is perpetually stuffed. To breathe freely again most of them use nasal irrigation. Nasal irrigation can be done with saline or a number of different natural solutions like grapefruit seed extract. Pour your saline solution into the neti pot. Bend over a sink and tilt your head to the side. The nostril away from the sink is the upper nostril and the one toward the sink is the lower nostril. Your chin and forehead should be on the same level. Breathe through the mouth so the solution does not pass into your throat. Insert the pot into the upper nostril. Raise the pot so irrigant enters through upper nostril and flows out through the lower one. Empty half of the neti pot. Now turn your head to the opposite side and repeat the procedure. After you are done remove excess water from your nose. Now gently blow into a tissue. Clean your neti pot before putting it away. Helps clear away allergens and infectious agents from nose. Helps improve the coordination of cilia. Cilia are small hair like projections in nose that trap dust, animal dander and microorganisms. Helps in thinning of the mucus. Natural antibiotic or antihistamines can also be used for irrigation. This helps faster resolution of symptoms of sinus congestion. Long term use of nasal irrigation can itself cause nasal irritation. The mucus contains important immune elements that help the body fight against respiratory disease. Using nasal irrigation regularly will not only remove the bad mucus but also the good mucus. Many people who suffer from allergies opt for natural remedies, especially if allergic medication does not provide effective relief. According to the American Academy of Allergy Asthma and Immunology saline nasal spray is effective treatment for allergies (29). People suffering from allergies get nasal congestion due to inflammation and obstruction of nasal passage. This leads to thickening and retention of mucus. Saline nasal spray helps thin the mucus and clear the sinus. Saline spray also helps restore moisture to nasal passage and reduce inflammation. You can buy an over the counter saline solution or make one yourself. To make a saline solution, mix 1/4th teaspoon of salt in 8 Oz. of distilled water. Do not use tap water to make saline because it contains microorganisms. Put the saline solution in a small spritz bottle. Use 2 spritz 3 times a day. The over the counter saline is mostly isotonic but you can also use hypertonic solution. Studies have shown that both these solutions help clear up the nasal passage and keep the sinuses healthy and infection free. Saline nasal spray helps keep the nasal cilia healthy. Cilia are small hair like projection in the nose. These help humidify the inhaled air. And trap dust and allergens so they do not enter the body. 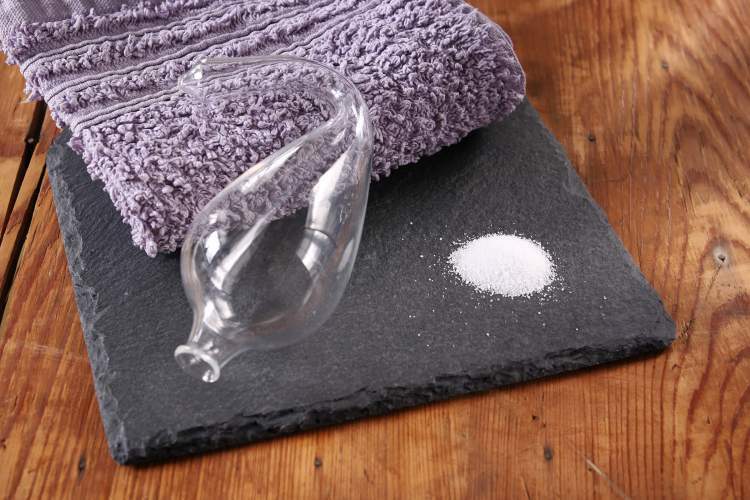 Studies have shown that saline keeps the cilia healthy and in turn prevents sinusitis and rhinitis. Since saline is basically salt water there are no side effects or drug interactions to this. However you should not use it excessively and you should never exceed dosage recommended by saline spray manufacturer. If you are suffering from sinus congestion or sinusitis massaging your sinuses can help. The massage helps alleviate the sinus pressure thus reducing the nasal and sinus irritation. It also helps clear up the blocked mucus in the sinuses. Sinus massage is the easiest and the simplest way to treat sinus congestion. Since this is a massage it has no side effects. And the biggest plus is that pregnant females can do this without any precautions. 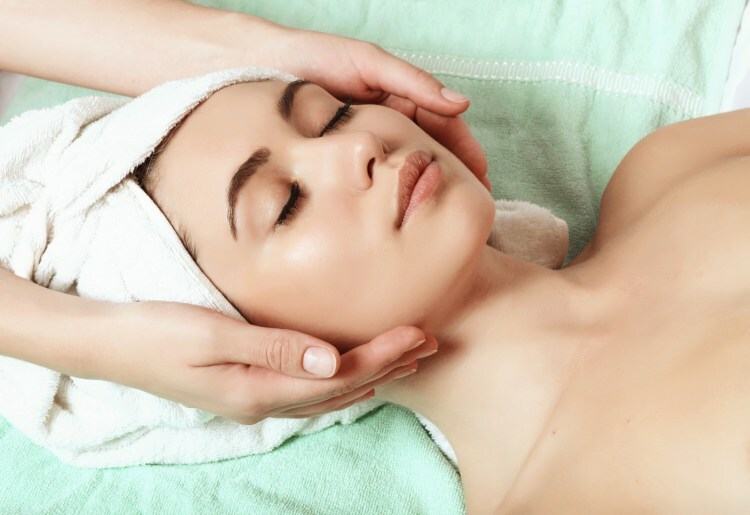 However you should not get a facial massage in case of facial injury, sever acne or eczema. Rub your hands together to warm them up. You can use oil or you can dry massage the sinuses. Using the oil will help reduce the friction during massage. Two good oil options for sinus massage are: baby oil and almond oil. If the oil is slightly warm, the massage has better results. Locate the indentation of your eye socket. It is the area where eyebrows meet the bride of nose. Apply pressure on this area with your thumb for about a minute. Now move your thumb in a circular motion for 2 minutes. This helps relive frontal sinus headache, sinus congestions and tired eyes. Apply pressure on your cheeks just on the outside of nostrils. Use your index and middle finger to apply pressure to this for a minute. Now firmly move your fingers in a circular motion (upwards and outwards) for 2 minutes. This helps alleviate nasal congestion and sinus pain. Use the palm of your hand to massage the side and tip of your nose. Apply moderate pressure and move your palms in circular motion 15 to 20 times. Alternate the direction of circular motion after a while. This means rub your nose clockwise 20 times and then anticlockwise 20 times. This helps open up the stuffy and congested nasal passage. After this massage you will feel a buildup of pressure in your sinuses which is normal. But if you feel deep and intense pain, stop the massage. And if the pain does not let up after 30 minutes consult your doctor. Frequent sinus infections can be truly irritating and debilitating. Using pharmaceutical drugs frequently have their own side effects. So, most people try to brave their way through sinus congestion. But there are many natural home remedies that can help alleviate nasal congestion without any side effects. One of the best home remedy is using grapefruit seed extract. Grapefruits have been used for thousands of years in traditional medicine. Grapefruit seed extract is made from the pulp and seeds of grapefruits. GSE has antiviral, antibacterial and antioxidant properties (30). So it not only helps fight sinus infections but also improves overall health. Grapefruits contain high levels of vitamin C that helps the body heal faster and fight off infections like sinusitis. Studies have shown promising results of GSE on relieving sinus congestions. GSE is a natural antiseptic and has no harmful effects on the body. GSE is present in different forms like: capsule, tablet, solution and nasal irrigant. Grapefruit seed extract can be mixed with saline or water for nasal irrigation. Make sure the solution is not too strong. Because it can cause irritation and burning of the mucosa of sinuses. For nasal irrigation, mix a few drops of GSE and 1/4 teaspoon of salt in a glass (8 oz.) of warm water. Never use tap water for nasal irrigation because it contains many microorganisms that might cause infection. Always use bottled water or boiled water. Use this mixture to irrigate your nasal passage. The best way for irrigation is using a neti pot (how to use neti pot has be explained in the section above). For drinking GSE mix it with water. Add 20 drops of GSE in a glass of water and drink this thrice daily. The number of GSE drops depends on the concertation of extract. Start by using only a few drops of GSE and see how it affects your body. Gradually increase the number of drops. GSE has no side effects but it can interact with certain drugs. Steam is an old and great method to relieve stuffy nose and congested sinuses (31). Steam can be used with chemical or natural extracts for an even better result. Steam helps open up the nasal passages. It also helps clear up mucous blockage by thinning the mucus. For mild sinusitis, nasal congestion and runny nose steam can be used as a standalone. But for moderate to severe sinusitis pain killers and antibiotics can be used as an adjuvant with steam. Steam is a potent nasal decongestant and that is the reason it is even recommended by doctors. There are a lot of ways to do steam therapy. The steam from a hot shower is the easiest and simplest way. If you are one of those people who get a stuffy nose every time the weather changes then invest in a nebulizer. Most people link use of nebulizers to only serious conditions. But that’s not true. In this day and age nebulizers are easily available for home use. You can just put saline or even water into the nebulizer. And it will help clear out all the mucus secretions. Boil a pot of water till it is steaming hot. Place the pot on a heat resistant mat. Cover your head with a large towel or a blanket. Now place your head over the pot of water. Make sure to keep at least a 12 inch distance from the pot. So you don’t burn yourself. Now slowly exhale through the mouth. Quercetin is a bioflavonoid that is present in most fruits and vegetables. Quercetin has excellent anti-inflammatory and anti-bacterial properties and it also is an antioxidant that enhances the activity of vitamin C within the body. Quercetin helps strengthen the tiny blood vessels in the nasal passage (32). Better blood supply means better chances of fighting of allergens and microorganisms. Quercetin helps relieve pain due to sinus congestion and halting other symptoms of allergy. Quercetin can be used for various blood and heart conditions but let’s just keep the discussion focused to nasal allergies here. Quercetin has no side effects that have been reported. However, the research on whether it is safe during pregnancy or not is scarce. So, pregnant females should use quercetin with caution. While quercetin has no side effects, it still causes a few drug interactions. 500 mg is an effective dose of quercetin. Natural antihistamines are a great alternative to Flonase. They are almost as potent as flonase but with no side effects. Bromelain is a natural anti-histamine (33). It is extracted from the steam of pineapples. Bromelain helps breakdown fibrin and properly drain the sinuses. A study conducted at University of Leipzig (Germany) compared the effect of bromelain to conventional drugs in treating acute sinusitis (34). The results show that bromelain not only alleviates symptoms, but also cuts the duration of infection by 2 days. Research on natural antihistamines like bromelain is relatively new. So there are no documented facts about its drug interactions. However research so far has shown that bromelain has no adverse effects on the body. Researchers recommend 250 to 750 mg of bromelain before or between meals. Bromelain should be taken 2 to 3 times a day till the symptoms settle down. Pollen barriers are organic balms that are applied to the nostrils to prevent dust and allergens from entering the nose. The most readily available pollen barrier is HayMax. Pollen barriers help trap pollen, dust and animal dander. Thus pollen barriers are best situated for allergies and allergic rhinitis. HayMax is made from all-natural and organic ingredients. It consists of beeswax and seed oil blended with aloe vera leaf extract. The aloe vera helps trap pollen and at the same time sooths nose sores. Apply a small amount of this balm around your nostrils (invisible). You can apply this at night before sleep or any time during the day. And if you’re allergic to pollen or animal dander you can also apply this when going to the park or zoo. The balm helps trap the allergens that otherwise would pass through the nasal passage and cause irritation. As long as the balm traps sufficient allergens and keeps you below your sensitivity or trigger level, there should be no allergic reaction. Pollen barriers are relatively new way to prevent allergic reactions. Studies are being conducted on the usefulness and effectiveness of pollen barriers. No definite results have yet been published but according to research pollen barriers show promise. The only known side effect to HayMax is allergic reaction. And it can be due to any of the ingredients. So people who are allergic to aloe vera or beeswax should avoid HayMax. Allergic rhinitis, stuffy nose and watery eyes are some of the problems that we have all face. Pharmaceutical drugs and natural remedies are both a great way to fight off symptoms of allergies. Most of the pharmaceutical drugs along with benefits also have side effect, while natural alternatives have few to no side effects. But some of the pharmaceutical drugs are more effective than natural alternatives. The best way to battle symptoms of allergies is a combination of drugs and natural remedies. Flonase, nasonex, veramyst and rhinocort are drugs used for the treatment of symptoms of allergies. All four belong to the corticosteroid group of drugs. Omnaris and beconase belong to glucocorticoid group of drugs. These are potent and help fight off symptoms of allergies. Home made nasal sprays and irrigation are some natural alternatives for treatment of nasal and sinus congestion. Saline and grapefruit seed extract can also be used as nasal spray or for irrigation. Sinus massage and steam therapy can also help alleviate the symptoms of allergies. Natural anti-inflammatory (quercetin) and anti-histamines (bromelain) are great for reliving sinus congestion and stuffy nose. Pollen barriers are relatively new but have proven to be effective.